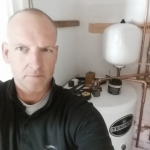 Heating Installer are Gas Safe accredited and based in Kenilworth. Current Boiler: Unknown. over 20 years old. Not working. Located in an airing cupboard, keep in the same place. Replace ASAP. Contact between mid day and 5pm. Existing boiler is an Icos m3080, fitted (snugly) in a kitchen cupboard. Current Boiler: Electramate. 20 years old. Working but leaking. Located in airing cupboard. Keep in same place. Replace ASAP. Contact anytime. Current boiler: Ferolli. 12 years old and faulty. Located in the kitchen, replace in the garage. Replace within 1 month. Contact anytime. Thermostat not functioning. BOSS THERM BRTRF (WE CAN STILL ACTIVATE HEATING MANUALLY AND BOILER IS WORKING FINE) Boiler is a GLOW WORM FLEXICOM 30CX.